SSC has publish Percentage of Mistakes in skill test, of candidates appeared in Stenographer Grade ‘C’ & ‘D’ Examination, 2017. The Commission declared the result of the Skill Test of Stenographer Grade ‘C’ & ‘D’- Examination, 2017 on 28.11.2018, 10.12.2018 & 18.03.2019. 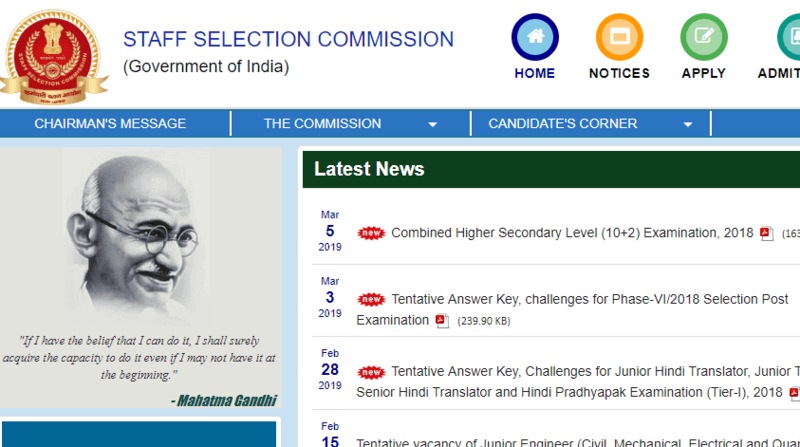 Now, the percentage of mistakes of all the candidates who appeared in the Skill Test has been uploaded on the website of the Commission i.e. https://ssc.nic.in. The candidates may login with User ID (i.e. Roll Number) and Password (i.e. Date of Birth) from 20.03.2019 to 19.04.2019 to see the percentage of mistakes committed by them in the Skill Test and download the same from the website of the Commission within the specified time limit.